AKIPRESS.COM - Mongolia is a country with a vast territory and a very small population in northeast Asia sandwiched between Russia and China. The country’s major economic sector is a traditional nomadic livestock industry and it has been expanding significantly over the recent years, writes Mainbayar Badarch. The livestock herd hit a record 56 million at the end of December 2015. Mongolia now has 24.9 million sheep, 23.6 million goats, 3.8 million cattle, 3.3 million horses and 368,000 camels. A total of 150,000 herding families take care of it, which accounts for over 20 percent of the total family numbers. The government policy makers have been raising the issue of meat exports over the last few months, seeking an alternative budget revenue source due to Mongolia's economic slowdown, mainly caused by falling price of mining commodities. Burmaa Radnaa, the Minister of Food and Agriculture, said that Mongolia has the potential to earn $1 billion from livestock meat exports, and this issue was discussed during the meeting of Prime Ministers of Mongolia and China. China received a request of Mongolia to export meat worth $1 billion and issued permission to purchase raw beef, sheep and goat meat. So Chinese officials conducted a site visit to 19 meat plants covering seven provinces of Mongolia in late 2015, looking into which provinces and factories can provide meat of the required standard. They are due to provide their final decision soon. In the meantime, the Mongolian Meat Association and Inner Mongolia Meat Association of China signed a memorandum of understanding for meat trade worth 6 billion Chinese yuan. China requested to purchase 150,000 tons of meat for that amount. The second potential big market is Russia. Mongolia has experience of exporting meat to Russia for many years. At the moment, Russia is not buying large amounts of meat. 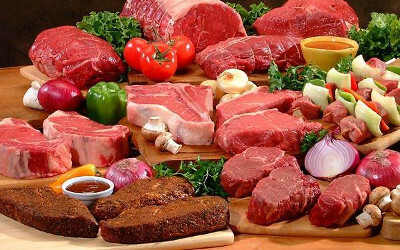 However, 26 meat plants were certified to export meat and meat products to 8 provinces of Russia at the end of 2015. Russia has recognized 10 provinces of Mongolia as reached its animal health standards. Vietnam has also expressed interest in buying goat meat in large quantities. In May 2015, Vietnamese officials conducted reviews and examinations at several local meat companies, and a total of 8 companies received permission to export raw and processed meat of goat and sheep to Viet Nam. Meanwhile, the Mongolian government is actively discussing potential options to export unprocessed meat to other international markets such as Japan, and some Arabian countries are interested in importing smaller quantities of sheep meat. Foot and mouth disease of livestock is a big challenge for meat producers in Mongolia, and this has hindered meat exports for animal health reasons. However, the Mongolian Ministry of Food and Agriculture has started resolving this issue as a result of numerous discussions and agreements with Chinese and Russian counterparts in 2015. This has resulted in a regionalized approach to disease, allowing the Chinese and Russian authorities to recognize some provinces as free from disease. Mongolia is also working towards certifying its disease-free provinces with the World Organization for Animal Health. International experts used to criticize Mongolia's framework for ensuring food safety, especially the use of professional inspectors with non-related qualifications to provide certificates of animal health, instead of veterinarians. Policy makers have been making a lot of effort towards improving this framework so that global importers can feel confident about the quality of the meat. Minister of Food and Agriculture Burmaa Radnaa said that some additional amendments to the law have been submitted to the Parliament, which clarify who will be responsible and the measures required at each stage of the animal health framework. At the moment, most of the meat processing industry in Mongolia is located in central urban areas. Meat is largely processed by hand, and in few cases it is processed by factory equipment. To improve this situation, the Mongolian agriculture ministry is purchasing 12 meat processing factories from China under soft loan terms. The location of these factories has been determined based on a study of the supply chain and related infrastructure. Regions with good animal health will surround these factories and most of them are likely to be constructed near to the borders. These factories aim to provide opportunities for Mongolian nomadic herders to export their meat. In this regard, the Government allocated a budget of 80 billion MNT for meat reserves and 100 billion MNT for preparing export-oriented meat and meat products. Mongolia's agriculture ministry considers that the country's predominantly nomadic livestock industry gives it the opportunity to compete on international markets by creating a valuable brand, rather than by using price and quantity. Mongolian herders don't use processed feeds, so the industry is considered as organic. However, there was no legal framework for registering, analyzing and guaranteeing organic agricultural and food production. So the ministry developed a draft law on organic production in accordance with the corresponding laws in the EU and related regulations of international organizations such as IFOAM. The government has supported it and accordingly parliament is expected to discuss and enact this draft law. The objective of the law is to develop the country’s organic industry, especially by providing opportunities to organic food export. Furthermore, it fosters ecosystem health, green development, fair market competition and social accountability of the country. Most countries require meat to be processed by factory equipments for to meet import requirements. Mongolia processes only 8 percent of its total meat used for food in factories per year, so there is a pressing need to enhance capacity of meat plants. Officials also say laboratories must be constructed near the 12 new meat processing plants, for testing to ensure food safety. Thus there are plenty of opportunities for foreign businesses to invest in this sector and benefit from rising meat exports. Another related concern is a lack of technologies. Sergey Yushin, Head of the National Meat Association of Russia, said that Mongolian factories will require deboning capability. Can Mongolians be ready for it? The country needs the latest modern technology and know-how to process meat and create lucrative business for international players.